It's supposed to be bitterly cold out, in the teens. I just hope my Lilacs don't get frozen out. This weather is depressing. 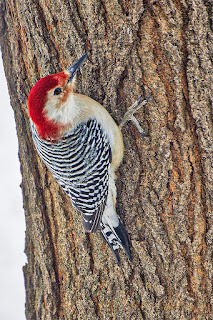 My bird image for today is of a Red Bellied Woodpecker that I captured on the Mulberry Tree just outside my window a few weeks ago. 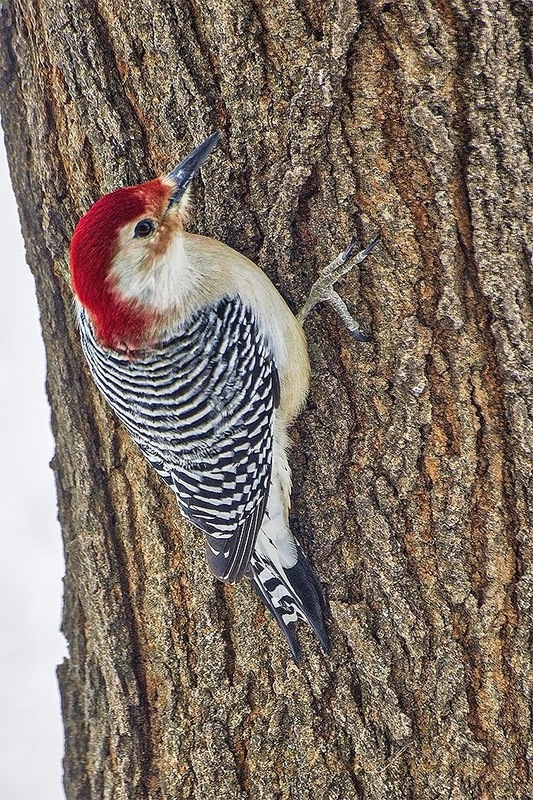 This is the laziest woodpecker as it is always going after the birdseed instead of pecking for bugs. I love his look here as I caught him on his way down the tree to take some of the food I had put out for the ground birds.